I'm new to the UDS world and was wondering how they were for competing. darren of Iowa Smokey D's won the american roayl and rgc yesterday at sams finals cooking his chicken on our drum Pigskin too! 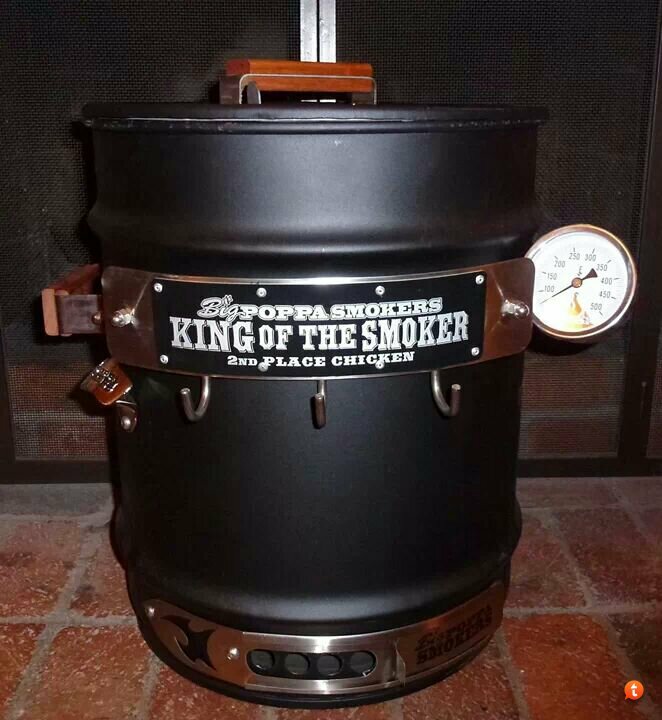 Re: Are the UDS with the BPS kits KCBS comp worthy? We now have one of those in our arsenal for 2014! Last edited by JD McGee; 02-10-2014 at 06:25 PM. What size drum is that black one ??? Last edited by JD McGee; 02-15-2014 at 07:58 AM. 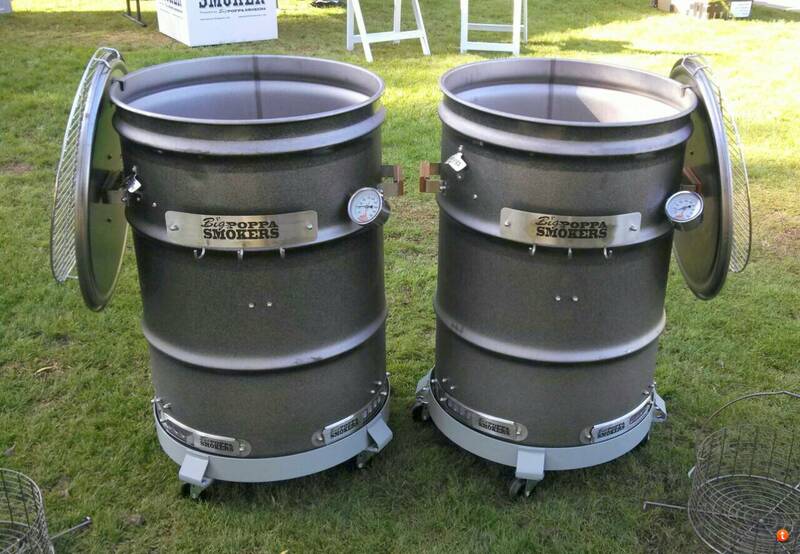 Hmmm I wonder if he still has charcoal baskets that fit inside these small smokers, I have a 30gal drum that I want to make a smoker out of and I believe its 18in. also. Using one next weekend at the Guinea Pig comp. We used the BPS Drum along with a WSM at the guinea Pig competition ( Our first). We cooked the ribs and chicken on it. I started the drum at 5am and at 2 pm. Took the lid off so it could burn out the remaining coals so it could be emptied. Ran the drum at 275. We do have a guru on the BPS Drum and the WSM. 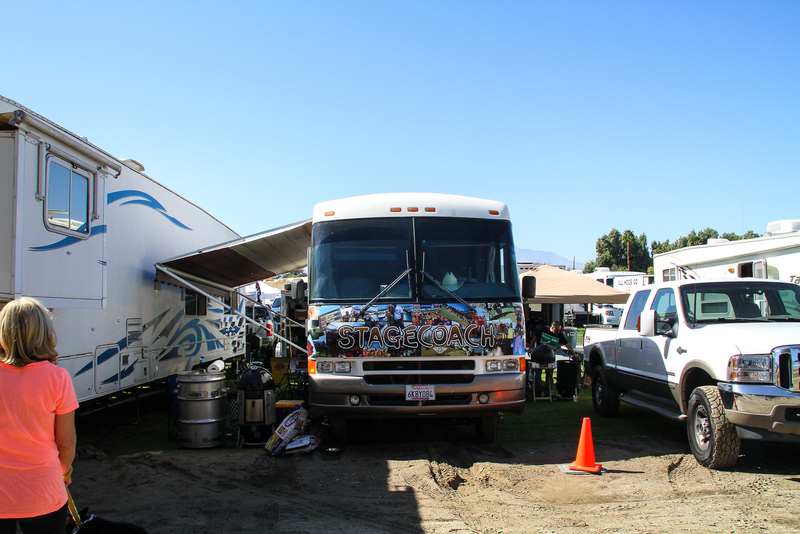 The way we use it is as a safety valve. Try and run using only the vents to control temps, and have the guru to add air if it runs a little cool and mainly on start up. Start with a weber cube and then set temp and let the guru help get to temp. Honestly the fan runs very little this way after start up. For our first comp, we were satisfied with the results. The Drum worked perfect and will use it at the next one.